LAFAYETTE, La. – A total of 115 LHC Group home health agencies from 64 providers have been rated among the nation’s best in an independent rating of home health quality and performance. The agencies were named to the 2013 “HomeCare Elite” list, compiled annually by National Research Corporation and DecisionHealth to recognize the top-performing home health agencies in the United States. The market-leading review names the top 25 percent of agencies based on a collection of performance measures. Among those honored, four LHC Group providers received a Top 100 designation, while 11 providers earned a place on the Top 500 listing. LHC Group is a national provider of post-acute care services. Now in its eighth year, the HomeCare Elite identifies the top 25 percent of Medicare-certified agencies and highlights the Top 100 and Top 500 agencies overall. Winners are ranked by an analysis of publicly available performance measures in quality outcomes, best practice (process measure) implementation, patient experience (Home Health CAHPS®), quality improvement and consistency, and financial performance. In order to be considered, an agency must be Medicare-certified and have data for at least one outcome in Home Health Compare. Out of 9,969 agencies considered, 2,496 are elite. 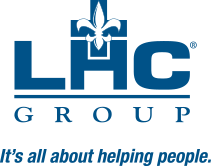 LHC Group Inc. (LHCGroup.com) is a national provider of post-acute care services, providing quality, cost-effective health care to patients within the comfort and privacy of their home or place of residence. LHC Group provides a comprehensive array of healthcare services through home health, hospice and community-based services locations in its home-based division and long-term acute care hospitals in its facility-based division.